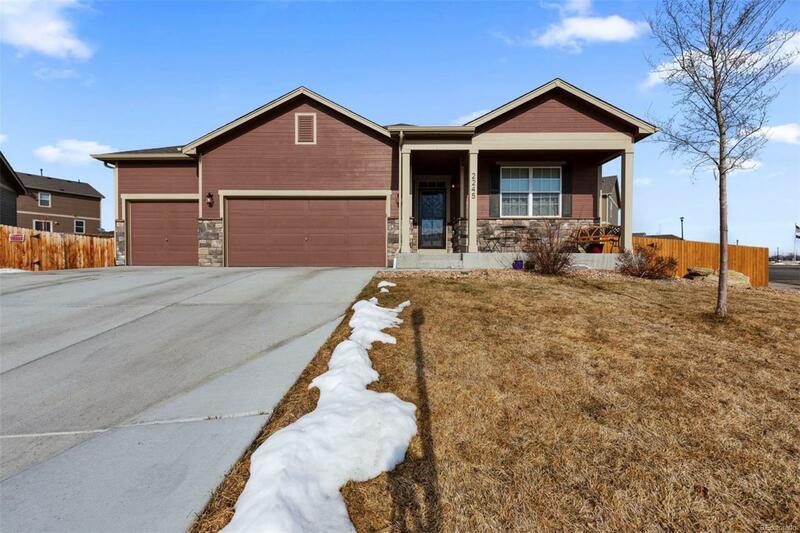 This beautiful ranch-style home is just waiting for you to move right in. Wonderful upgrades, such as Wood floors, kitchen backsplash,upgraded kitchen appliances which include a gas stove, fireplace, additional shelves in master bedroom closet, crown molding, fan light in bedroom, recessed lighting, concrete patio, shed, retaining wall, partial landscaping, insulated and drywalled garage, epoxy garage floor and additional overhead storage in garage. An open floor plan that is sure to please. The kitchen has an island with additional space for seating and large pantry. The Master Bedroom has a private en-suite, with double sinks and large walk in closet. HOA dues have been paid in advance through December 20,2019. Don't miss out on the house you will want to call home.